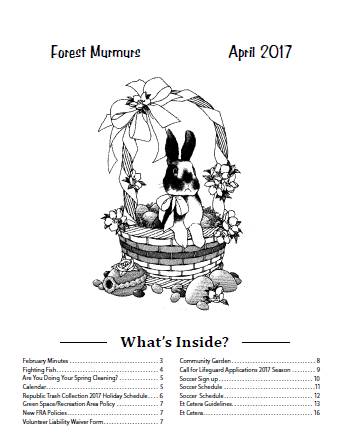 Published 10 times per year, the Forest Ridge Murmurs contains news and information about Forest Ridge. It is a must read for all Forest Ridge Association residents. Check out the information about the board meeting minutes, Fighting Fish information, 2017 Republic trash collection schedule, soccer signups, community garden information, call for lifeguard applications, and much more. The next Murmurs will be published in May. The paper copy should be delivered to your home soon. 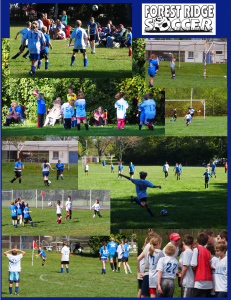 Forest Ridge Spring Soccer Sign Ups Open Now! Is you child ages 5-12 and interested in playing or learning to play soccer? Sign up now for the best deal in town! Only $35 if registered by March 25, then raised to $45. Family maximum rates available. Practices start March 28. First games April 15. Season ends May 27. All practices and games held right here in the neighborhood! More information available at http://forestridgeassociation.org/recreation/soccer/ or call 937-723-9768 or email frasoccer@gmail.com. Coaching and team parent opportunities available!